Graeme Fletcher's photograph of Gough Whitlam with singer Little Pattie outside what is now called Old Parliament House in Canberra was taken on July 21, 1972. 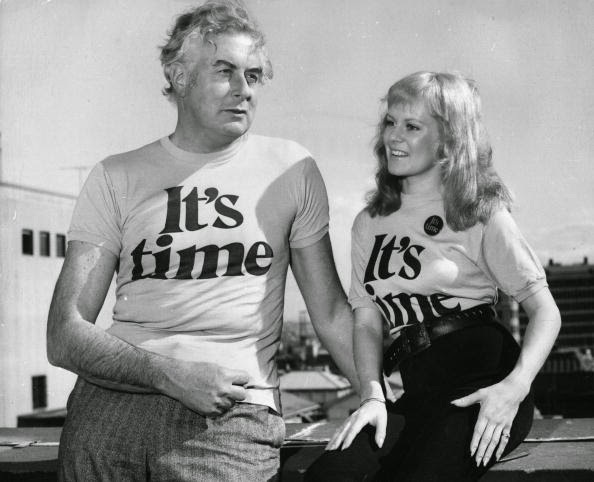 "It's Time" was the Australian Labor Party's slogan for the 1972 federal election. Unlike many of my contemporaries, I have no recollection whatsoever of where I was when I was told President John F.Kennedy had been assassinated. I do know, however, precisely where I was when the word came through that Gough Whitlam had been elected Prime Minister of Australia. One reason might simply be, I suppose, that I have a natural inclination to prefer to retain memories of triumphs, and to try and forget disasters. Whitlam's election unquestionably brought great hope for a better future for Australia; Kennedy's death brought nothing but despair for all civilised nations. Old Parliament House in Canberra, a political arena dominated by Gough Whitlam from December 1972 until his infamous "dismissal" on November 11, 1975. Whitlam making his brilliant "Kerr's Cur" speech outside what is now Old Parliament House in Canberra on November 11, 1975. In my mind, the erasure of one distant memory, and the still fresh presence, after 42 years, of another, reflects a differing response to a time of mourning and a time of rejoicing. 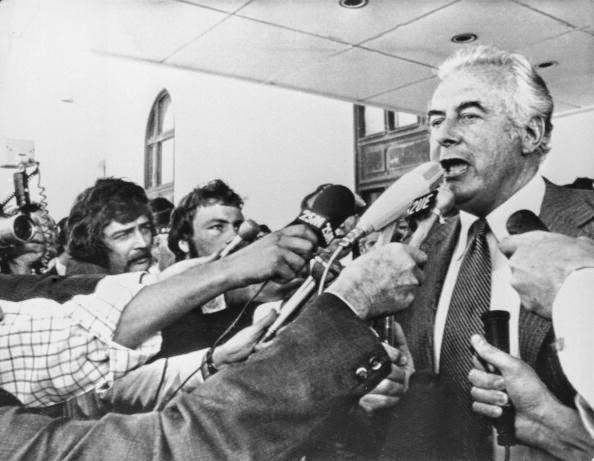 There can be no doubt, as we have so often been reminded since the death yesterday of Gough Whitlam, at the age of 98, that his rise to power on December 2, 1972, was a time for celebrating the rebirth of this nation. As many commentators have said, there was an Australia before the prime ministership of Whitlam, and another, much better Australia after Whitlam had led Labor back to Government, following an absence of 23 years. 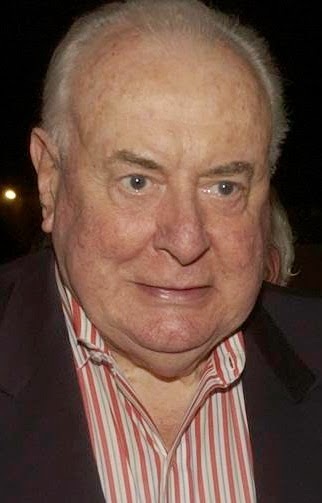 One striking line has it that Whitlam was an "Orpheus in a Bogan Underworld". And the 6ft 5in tall Whitlam was truly a giant among statesmen, bestriding a land of political Lilliputians. It was if, with his election, the lights went on across the country. I didn't, admittedly, live in this country at that time, to see first-hand the lights go on, but the glow from a happier, more free and enlightened Australia still reached me, wherever I was. It's difficult now to adequately express just how forlorn it felt like to live in politically darkened and dank Australia and New Zealand in the late 1960s and early 70s, such physically beautiful countries being run by such short-sighted reactionaries, going nowhere as nations. Put simply, it was demoralising. Nineteen seventy-one was an annus horribilus on both sides of the Tasman, it felt awful to be here, to a part of it. By contrast, 1972 was to turn out to be an annus mirabilus. 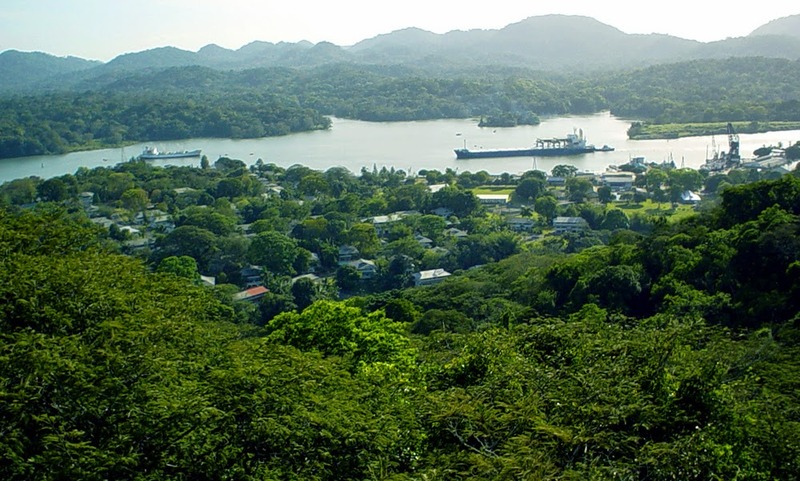 When I heard of Whitlam's election victory, it was a bright Sunday morning and we were sailing past the old Canal Zone township of Gamboa in Panama. We had picked up the news on the ship's short-wave radio. The day remains so memorable because there was such a joyous celebration among all on board. All the crew were young, all escapees from what had been, with heavy lashings of satire, labelled the "Lucky Country" and "God's Own". 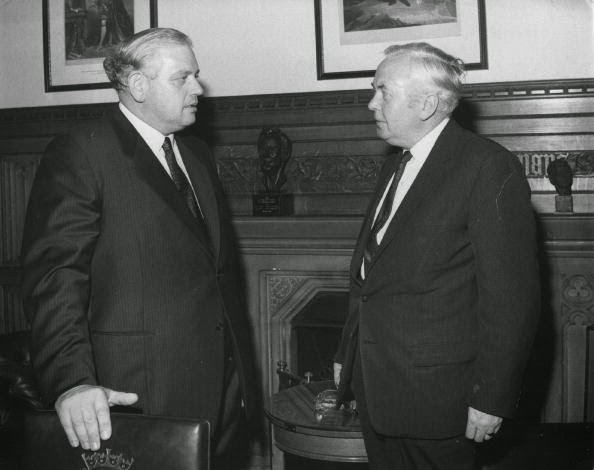 The late, great Norman Kirk meeting British Labour Party Prime Minister Harold Wilson in 1971. A week earlier, as we crossed the Pacific northward from Tahiti, another Labour leader, Norman Kirk, had been elected Prime Minister of New Zealand. Having just left the pristine harbour of Papeete, the daydream that these sparkling waters would no longer be threatened by French nuclear weapons testing gave rise to an immense sense of delight. We had a month or so earlier sailed from the shores of Australia and New Zealand (in particular, Kirk's electorate of Lyttelton), thinking of both countries as political, social and cultural backwaters. Suddenly, it seemed to us that Australia and New Zealand had overnight become the most sensible, the most politically enriched nations in the whole wide world. The euphoria didn't last all that long. Kirk died in office on August 31, 1974, and Whitlam was controversially dismissed a little more than 14 months later. But much had already been achieved, and things were never to be the same again. We were out of Vietnam, and South Africa's apartheid policy was no longer so readily tolerated. 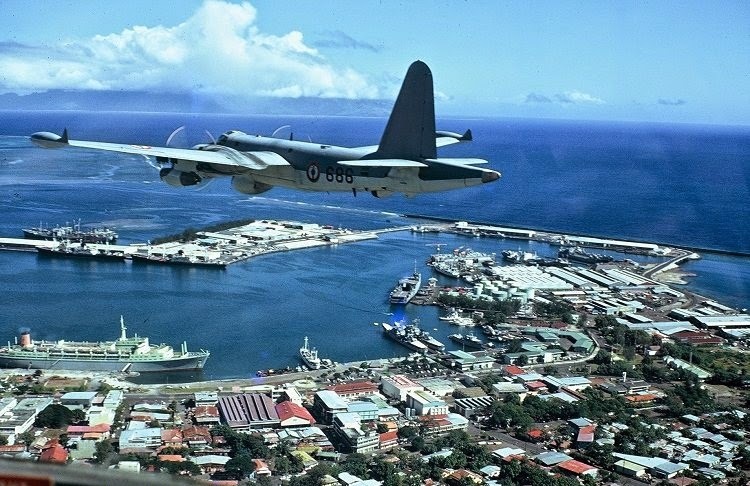 New Zealand finally took a firm stand against the French nuclear weapons testing in the Pacific. In Australia, China was recognised, university fees abolished, and universal health care, blame-free divorce, legal aid and a new national anthem were introduced, and the long road toward recognising Aboriginal land rights embarked upon. Australia and New Zealand came of age in late 1972. Yes, it was a time to party, to celebrate having the keys to the doors of enlightenment, even in the middle of the Panama Canal. 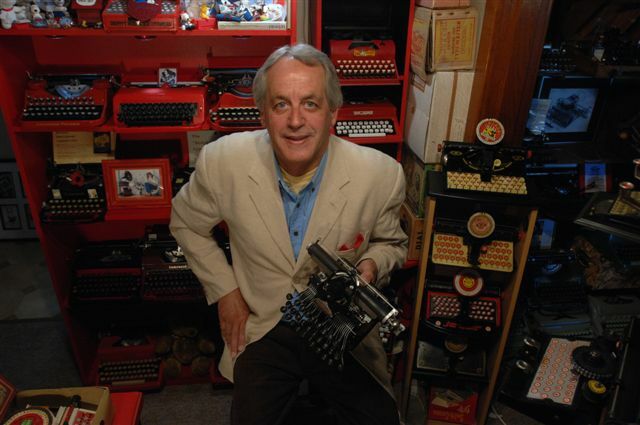 Before we'd reach Panama City, to tangle with overly zealous zone guards and Omar Torrijos' flamboyantly-dressed, heavily-armed cops on white Harley Davidsons, I'd sat down at my Olivetti Lettera 32 and pounded out letters of congratulation to friends and family back home. I didn't care which way they'd voted, they had been party to history-making events in their nations. Ten years ago I got finally the chance to meet Gough Whitlam, at the National Museum. I have never interviewed so impressive an individual. I was in total awe of him, as were all around me. Yes, a true giant has passed from us.